Coconut is no longer the bad guy. Growing up in a home with doctor parents I remember as a kid i was taught that one of the deadly dietary sins was to use coconut milk in curry. Of course, years down the line we now know that the big bad guy is actually sugar and coconut has now been rehabilitated such that one can find coconut oil, milk and flour in health food stores. Strange how the world turns and a dietary villain has become hero and all these years our food pyramid was all wrong and based on flawed and misinterpreted research. Fortunately in Asia we have never ever abandoned our love for coconut. The unspoken consensus in my home was that we would use coconut milk in curry chicken but we would try hard not to eat too much of it! Luckily it’s not that bad for us after all and the low carb lifestyle allows us to embrace all things coconut now. Making low carb ice cream has always been rather challenging. Most sugar substitutes crystallize terribly and it’s hard to get a fluffy gelato consistency. Just as an aside I do have a magic formula now to deal with it (add vegetable glycerin and alcohol, preferably vodka, yay! to the mix) but this recipe is really for an ice pop so there is no attempt to soften up the textures. Just to liven things up a bit I did add nata de coco to the ice cream. 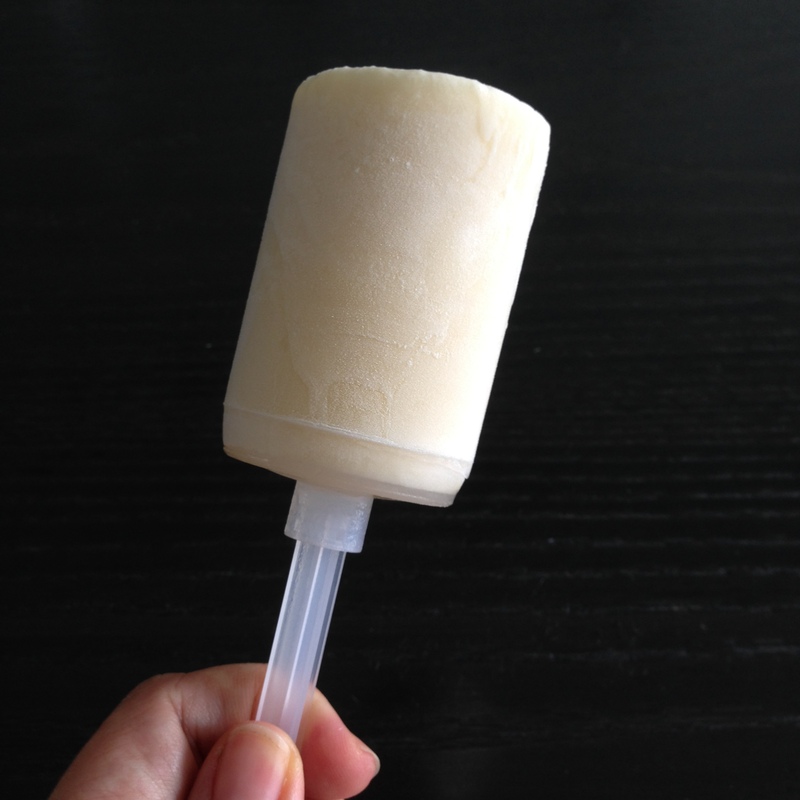 It gives a kind of “ice cream potong” vibe (for those not from Singapore, ice cream potong is a popsicle that had local fruit or vegetable flavours like yam, durian, red bean and sweet corn) which is not surprising because most ice-cream potong uses coconut milk as a base. The set up – the thermometer is absolutely essential as it prevents the eggs from scrambling. Yes, it’s happened before to me. The custard mixture sits neatly in a bain marie and is crucial to cook the custard in a controlled way without rapid rise in temperature (which is how you get scrambled eggs in the first place). 1. Pour the coconut milk and cream, sweetener and salt into a heavy based pot and heat over medium heat, stirring carefully and frequently. 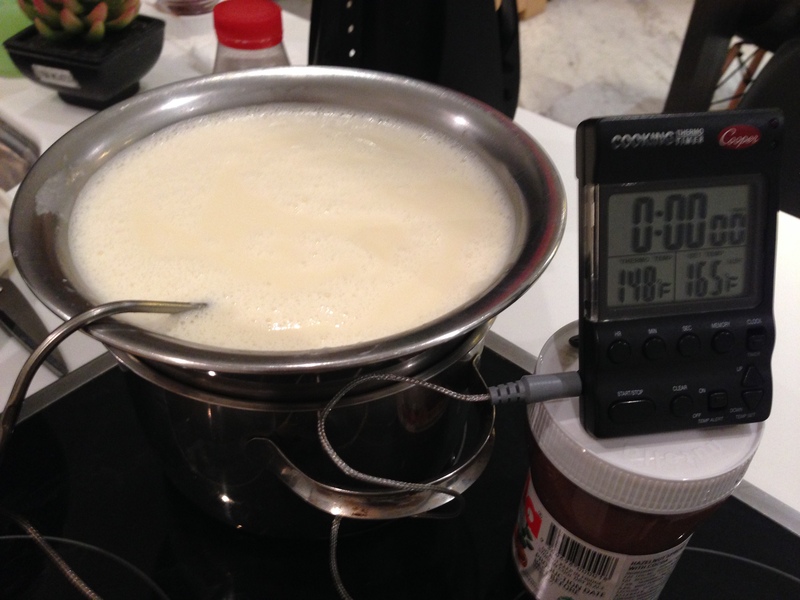 Bring the mixture up to a temperature of 70 – 75 deg C (about 160 – 165 deg F). 3. Beat the egg yolks vigorously in a metal bowl, then when the coconut milk and cream have been brought up to the right temperature, pour the cream into the yolks, whisking briskly to make sure that the heat dissipates through the mixture evenly. Place the bowl over the bain marie and continue stirring. 4. Bring the mixture over the bain marie up to a temperature of 70 – 75 deg C (about 160 – 165 deg F). You will notice that a thin film of custard will form at base of the bowl or your spatula. 5. When ready, cool down the mixture. Chill in the fridge for several hours first, then churn in an ice-cream maker with the nata de coco. 6. When ice cream is done, place into ice-cream moulds and freeze. 7. When ready to serve, dunk the ice cream mould in hot water for several seconds. 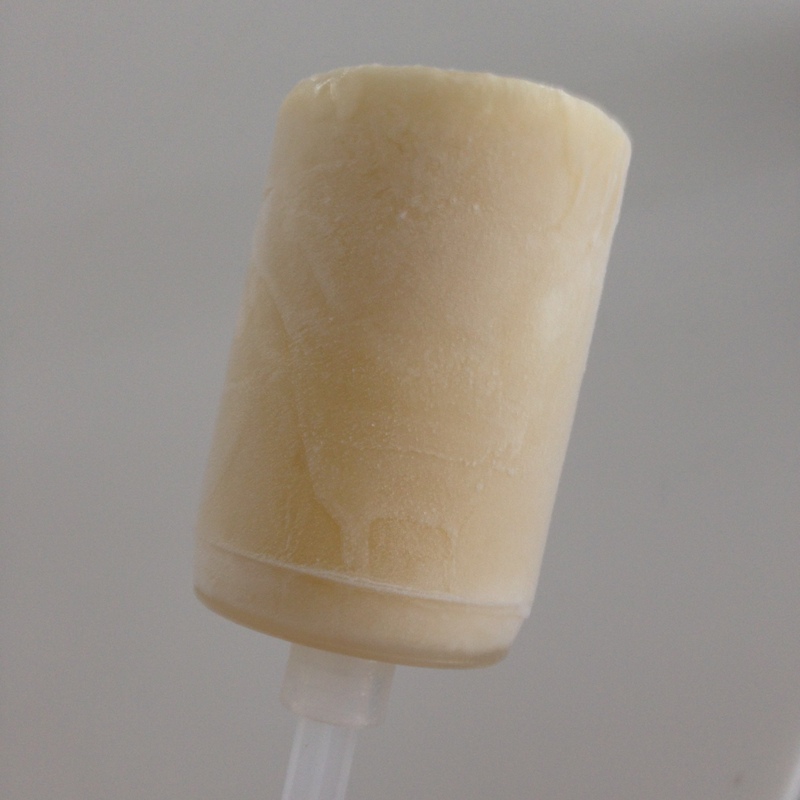 This will help the popsicle to unmould from it’s case.